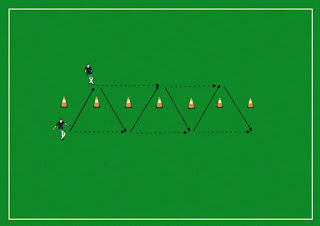 Organization: the cones are arranged in a straight direction with a ~1.5m distance between them. The players are situated like in the diagram. 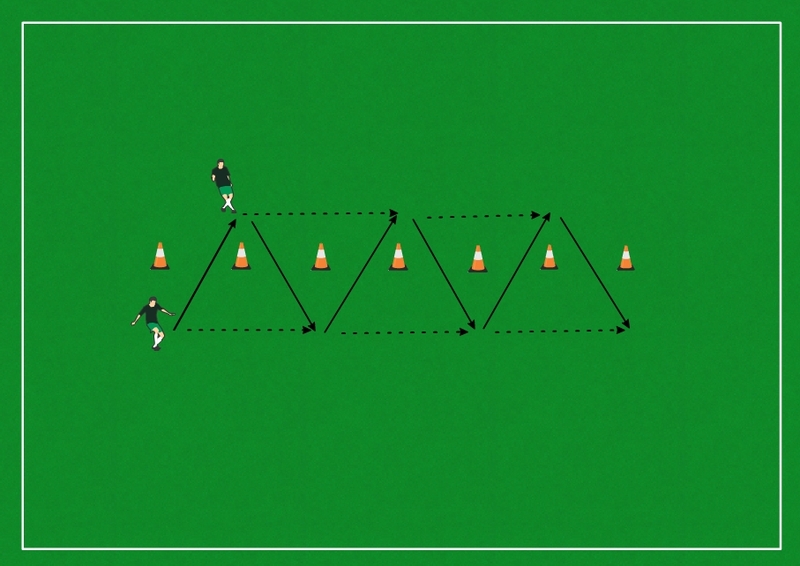 The player with the ball starts by passing it to his teammate through the first 2 cones and then he moves forward to reiceve and pass back to his teammate who is doing the same thing. The distance of the drill depends by the coach and his training session. Aim: Improving passing, coordination and movement technique.